Brilliant red wool suit from the Rive Gauche line from the house of Ives Saint Laurent. 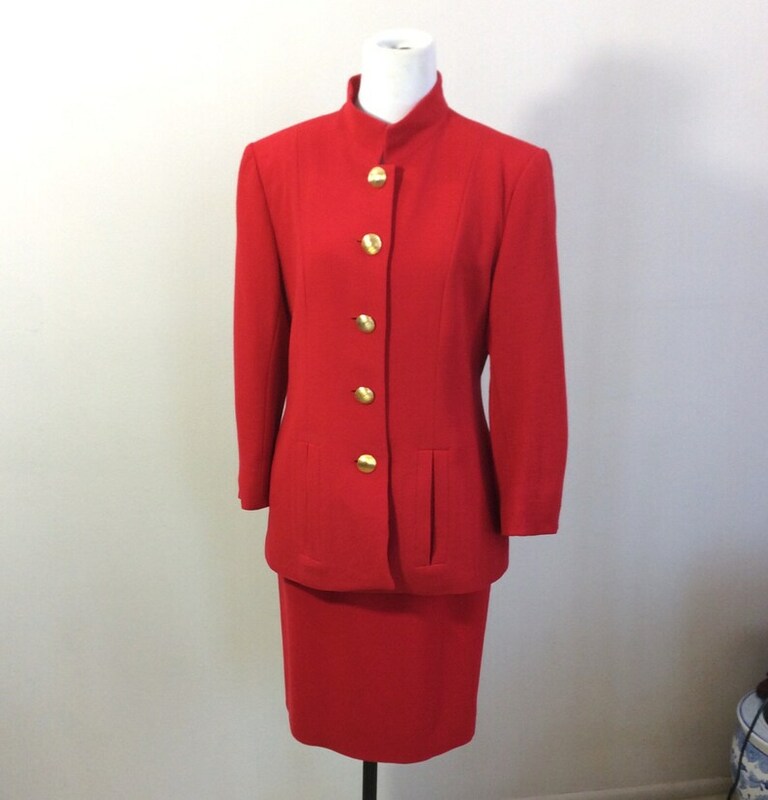 Gold buttons, pockets in both the jacket and skirt. No flaws found. Best guess for age is that it is from the early 90s. Size 4, with a 26" waist. This suit has been dry cleaned.